The movie is set in Philadelphia but most of it was filmed in New York (with some location shots from PA). The apartment interiors were built on a soundstage in Brooklyn. Kate lives near Rittenhouse Square, but Angie comes from South Philly. Kate has a Viking kitchen. Viking reportedly provided “a range, refrigerator, beverage center, trash compactor and dishwasher for the set.” Lucky girl! The kitchen seems huge, especially for a one-bedroom apartment in the city. What would she do with all that storage? After Angie moves in, she takes over the bedroom and makes Kate sleep on the sofa in the living room. 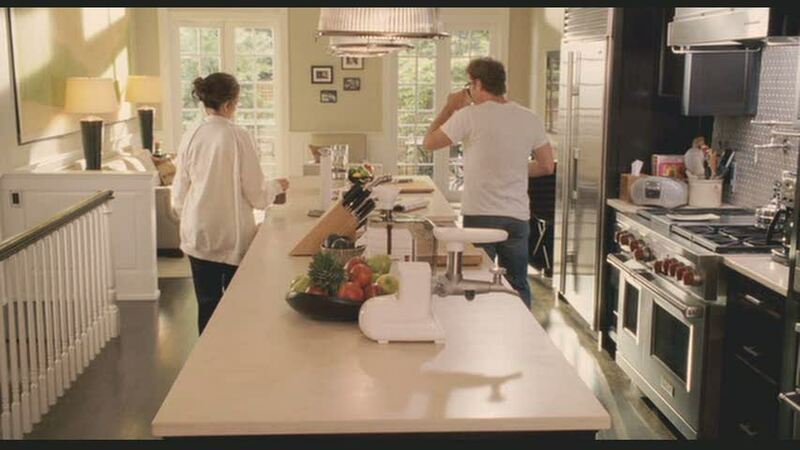 Andie MacDowell's Apartment in "Green Card"
A WaterColor Cottage in Florida: Inspired by the "Something's Gotta Give" Beach House? If you want a fabulous movie apartment, the set from the old John Hughes movie “Curly Sue” can not be beat. I remembered it fondly, and took another look recently, and it surprisingly timeless for a set going on 20 years old. I’ve never seen that one but occasionally get requests for it. I’ll have to check it out one of these days! Oh, I’ve always liked the one from Just Like Heaven! I’m going to watch it again this week and see if I can get enough good photos of it. If I can, I’ll feature it! Could you possibly get pictures of the fabulous New York apartment in the film “A Perfect Murder”. Absolutely stunning! I adore this movie…the apartment, Gwyneth’s wardrobe, the suspense, LOVED it! Especially the bathtub…it’s on my wish list for “someday”!! Well, that explains why it looks silver–it is! Thanks, Elizabeth. Wish I knew what the paint color was, but I don’t. Kind of reminds me of the “Pecan” color in my family room by Eddie Bauer, but it’s probably a little darker than that. I love the swinging door with the porthole window also. Where can you purchase those? No idea, but I love it! Michelle Pfeiffer’s (Catwoman’s) apartment in Batman Returns (1992). The cutest, coziest, pinkest apartment I have ever seen. It looks like it was decorated from yardsale purchases. Very real and charming. I just finsished reading Tina’s book “Bossypants” this weekend. I recommend it, it’s a nice light read with many laugh out loud moments – seriously, real belly laughs. A Mother’s Prayer For Her Child is without doubt my favourite passage in the book. If you don’t have the book google the prayer – it’s funny because it’s true. Love the swinging door, it’s so Threes Company-esque!! I listened to it on a flight to Tampa last spring. I was shaking with the effort of trying to control my laughter and grimacing…like you do. The woman sitting next to me asked if I was okay! I JUST watched this movie last night and was wondering if there was some way to contact you and ask about it. I opened my reader this morning, and here you are featuring it! 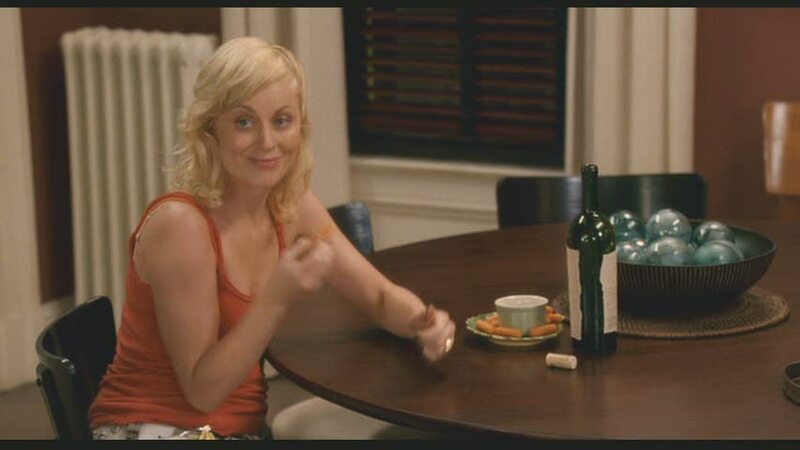 I love her apartment in this movie. Some of it is a bit stuffy, and obviously unrealistic, but I love it. I love her bathroom (minus the peed in sink, haha), and a lot of her furniture. That’s a great bed. Lucky you! 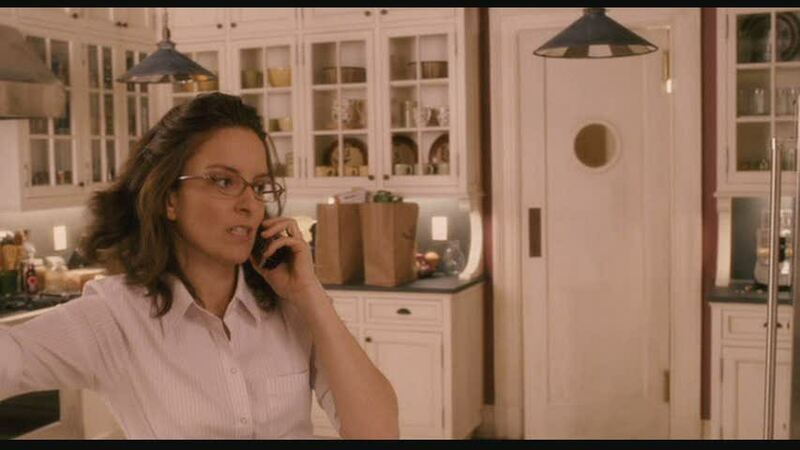 I loved the movie but must have missed how gorgeous the Tina Fey character’s kitchen was. I’m also considering a coffee table (rustic wood with steel frame) much like hers. Do you think it will look dated in ten years? It’s definitely trendy right now, but I’m not sure that something like that would stick out like a sore thumb in ten years like some other trends would. If you love it, I say go for it! I would love to see the houses from Desperate Housewives, also!!! What gorgeous apartments. I can’t choose which one I like the best because I like them both in there own ways. Awesome post, Julia! This movie was really hilarious and I loved Kate’s apartment. The kitchen is amazing (Viking appliances?! Yes please!) and I liked the juxtaposition of her buttoned up personality clashing with Angie’s personality. The babyproofed toilet was too funny! It’s interesting to learn that it was shot in NYC, it reminded me so much of Philly! 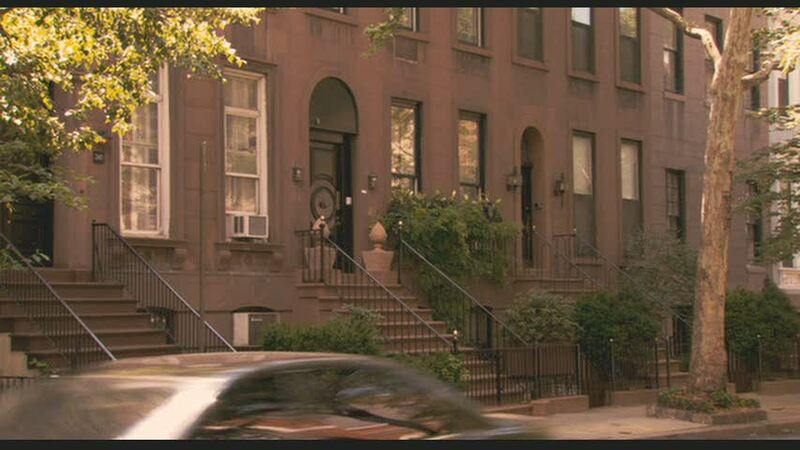 I would love to see the apartments from both When Harry Met Sally AND Just Like Heaven!